A French football fan is seen cheering his team at the 2018 World Cup with a baguette in hand. Whether the young man was enjoying the gastronomic benefits of a prevalent stereotype or making a satirical comment on it, there is no doubt that the French know their baked goods as few others do. And imitation is the best form of flattery, as Marcel’s has achieved so gracefully and uniquely. 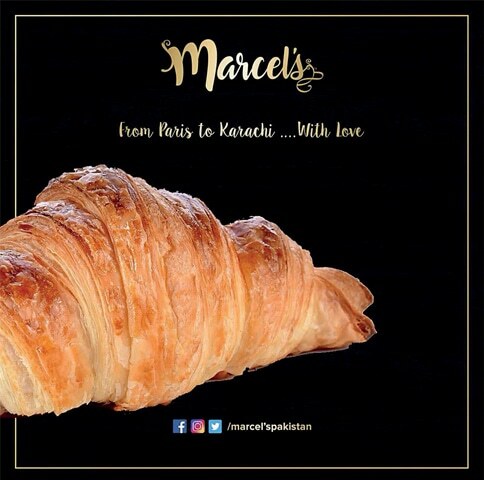 Marcel’s, owned by Ali and Umair Khalili, opened in April 2018 and ambitiously combines three very French establishments in one; boulangerie, patisserie and bistro. 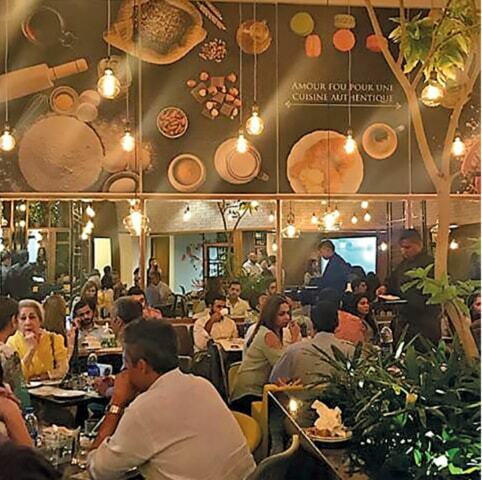 Located where Pakistan’s first Pizza Hut stood and endowed with a large space, the Khalili brothers enlisted Naheed Mashooqullah of Xander’s and Aylanto fame to breathe life into their venture and the resulting space seats over 120 people in a quaint French setting. Entering, one’s visual senses are seized by the colours, glaze and poetry of the pastries and the accessibility of the baked and baking bread, subtly juxtaposed with checked flooring. Umair Khalili, whose craving for a good croissant birthed the place in question, asks us to walk through the display cases, bread baskets and bread oven, before being seated. Conceptually, Marcel’s started out as a bread boutique and the food menu was only added on when considering the market they were catering to. The food is kept deliberately simple, a silent ode to a culture of the complete meal, while the pastries and breads are the crowning glory. Market research may have led to adding a bistro to the list, but Umair was surprised by the sheer number of bread enthusiasts. People have taken to the strange-sounding breads with gusto and appreciate the observable and tasteable qualities of the pastries, just as the owners had hoped. “Pakistani desserts are delicious but not very aesthetically appealing,” Umair observes, and so his team took a page out of the French playbook and stepped up their game. A 500g loaf is estimated to last a family of four about two days, a testament to the lack of preservatives or artificial improvers and an increment of less than a 100 rupees is a small price to pay for gut satisfaction. Although the current market is in its infancy regarding bread, the fact that Umair has customers coming in from Gulshan on a daily basis to purchase bread is enough to signal the need for more sites and more access. Other than word-of-mouth, Marcel’s has kept the advertising to the digital sphere and so finding out the people’s opinion of the food on offer is quick and surprisingly unanimous. 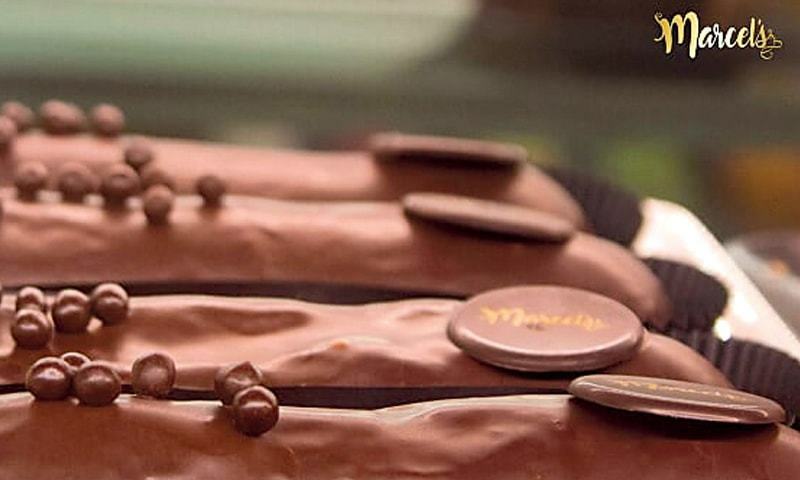 With no match for their éclairs, croissants, macaroons and ostentatious cakes, Marcel’s has clearly captured our attention. Do the prices promise the sustainability that the owners envision? Umair is quick to assure me that “we would prefer not to compare ourselves to other competitors” followed by the infamous ‘but’. The prices are without a doubt higher than what we are used to, but the assurance of a lighter wallet upon leaving, is counterbalanced by the sheer quality of the products on sale. A 500g loaf is estimated to last a family of four about two days, a testament to the lack of preservatives or artificial improvers and an increment of less than a 100 rupees is a small price to pay for gut satisfaction. Although the current market is in its infancy regarding bread, the fact that Umair has customers coming in from Gulshan on a daily basis to purchase bread is enough to signal the need for more sites and more access. 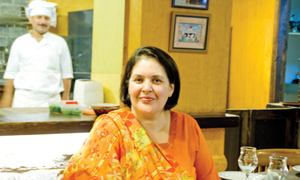 Looking to the future, the Khalilis have plans to expand the menu and increase the types of bread served. They also plan to set up satellite bakeries around the city to cater to bread enthusiasts from all localities and have stocks of raw materials enough for another six months of production. 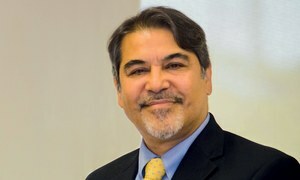 As of now, they intend to continue using imported flour and butter until viable local substitutes are found and will abstain from preservatives indefinitely; their products are not baked to last long, but to stay fresh. This is a welcome approach to baking and food production in general and guarantees Marcel’s a clientele that will only grow as increasing numbers appreciate authenticity. Thinking long-term, Marcel’s has hired a large staff and invested more in machines than any other restaurant of comparable size. The purpose is to smoothly transition into future plans by ensuring a well-trained core team and available machinery and raw material. Growing pains are evident as the staff scurry around and struggle to deal with peeved customers, but having been operational for only three months, the second of which was Ramzan, cutting some slack here is the right thing to do. 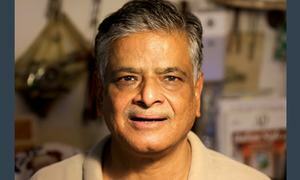 The entire venture was adventurous and risky. Bakeries are common but bread boutiques are next to none, with little indication of a demand for one. Yet, Marcel’s managed to tap into the demographic that expressed an interest and is using this to cultivate curiosity and awareness in the rest. The establishment’s stepping stone – starting point and guiding light – is the back story written by IAL Saatchi & Saatchi, featuring a French traveller with an extreme case of wanderlust. Picking one of the most common French names to avoid confusion, the story follows Marcel La Roux as he meets, greets and eats with different people around the globe. He finally ends up in Karachi where he chooses to settle and open a restaurant. He has fallen in love with the city and pays tribute to it by baking cakes named after his numerous exploits and serving authentic French bread. 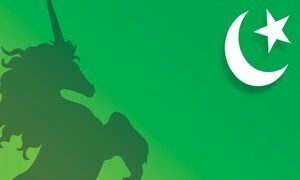 More parts of the story are to be revealed in keeping with interest levels. Marcel’s has the hangout appeal, the diverse menu and a location that is part of Boat Basin’s thriving food street. 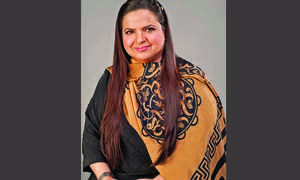 Sustainability in such an environment, as well as in the wider sphere of Karachi’s gastronomic obsession is, at best, survival of the fittest. 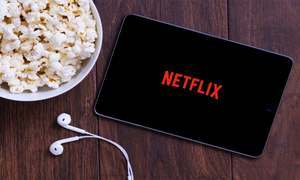 But the positive outlook of the owners, the buying power of the customers and word-of-mouth sees a niche market taking front stage. Marcel’s opening has caused useful debates about wants and needs, ingredient suspicion and the like, but one thing has stood out and that is the establishment’s success in making us realise what we needed and now cannot do without. And despite everything being checked off the list, hurdles are still many as the staff require constant supervision and training. But with crumby classics and glazed confectionaries so very tangible, who are we to complain? Great to see Karachi's food scene becoming more international. From the photo, the decor looks very French. A bit of Paris in Karachi - c'est tres bien, non? They can seriously improve the food on the menu. My wife and I tried a couple of things before deciding not to order more. The food tasted excessively similar to the many of the new restaurants without even attempting to taste better. As for the ambiance, is frankly not a good execution...they could have done better still. The bakery I will begin to try after having read this article. Thanks for this.